We export Hot Dipped Galvanised Steel incoils/Plain sheets & corrugated sheets, and specialise in exporting the very thin galvanised corrugated steel sheets starting from a thickness of 0.12mm BMT upwards,to Africa. Galvanised steel as per JISG 3302 SGCH, also SGCC in 0.25mm onwards. Most common widths of 762mm/900mm/914mm/1000mm/1220mm. 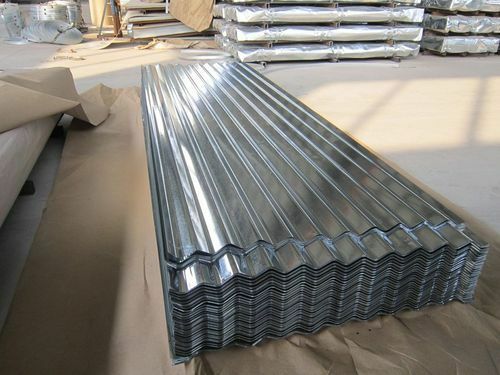 Drum Corrugated steel sheets in maximum length of 12 feet (3650mm). Mondial Exports Pvt. Ltd., is a trusted supplier of Steel Products to the Niche Markets of Africa/ Indian Ocean Islands/ Caribbean Since 1994. In Africa, we are supplying Steel Long Products & Flat Products from India/ China/ Turkey for the steel importers. West African Region - Ghana/ Sierra Leone/ Congo/ Cameroun/ Liberia/ Ivory Coast/ Gabon/ Burkina Faso/Angola. Esat Africa Region - Uganda/ Burundi/ Rwanda. IOI Region - Comoros/Reunion /Mauritius/Seychelles/Madagascar/Sri Lanka. We supply the complete range of steel and building material items to Africa and bring the makers/steel plants to the doorsteps of the little & medium purchasers & thus offer EVERYTHING IN STEEL FROM A SINGLE SOURCE. -CRC steel tubes-specializing in thickness from 0.38mm till 1.2mm CRC tubes. - Steel tubular Furniture for Schools- made from our own prime Steel tubes.